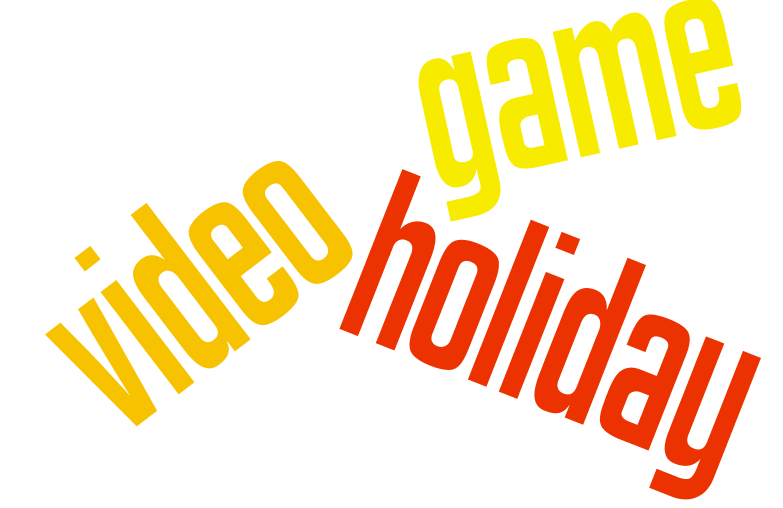 We need a video game holiday all around the world. The purpose – wait for it – is to play video games. Play with friends, strangers, online or offline or by yourself. Not everyone must play, but everyone who plays will have a positive impact on the world. This day will make the world a better place. Playing games will unite people of different races, classes, genders and ages from all over the world. They’ll forget all their problems. The world will sweep up and throw out silly squabbles into the dustbin. What concrete steps could we take? We could start a series of gaming contests with a huge jackpot for winners. Gamers could play for a charity, and the winner could donate their cash prize to their favourite charity. A tense enough contest with interesting gamers might also be fun to watch at home. It might be something like “Iron Chef” on the Food Network, except controllers would be flying everywhere instead of cabbage. Even if people cannot compete in this contest, they could rediscover the joys of friendship. Playday will make that happen. Playing team games will act like a glue that binds people together. For those not interested in team games, organizers will feature games that cater to everyone’s tastes in public meeting places. These meeting places would stock up on every genre. My hope is this will reel in a wide catch of people who previously dismissed or could not afford to play games. The meeting places would also allow people to play games for free. Of course, I have no idea how to carry out this free feat, but I can still dream big. My realistic goal is to encourage people of all ages to try games. To attract a younger audience, organizers will likely hold the holiday during the summer. That way kids will have more free time to both think about and play games. Developers, or any volunteers, could also bring games to retirement homes. I hope everyone plays a video game on that day. There’s no reason to restrict video games to an exclusive elite. Everyone deserves to play games, to forget life’s petty problems and enjoy a hobby. All of these people will be celebrating video games – some for the first time – on Playday. Some might begin to appreciate that games draw on both art and science. They might have questions about this entertainment. Those questions might lead to broader discussions about the role games play in our culture. Then Journey’s beautiful landscapes and poetic code might strike them as a work of art. But you don’t have to play games. You still have free will. The police won’t knock on your door to make sure you’re playing. You won’t receive a fine for reading instead of recreating American Civil War battles on your computer. The thought police won’t track your thoughts either. You’re free to clear your mind or pursue other things on Playday. I would think that playing free games is a good enticement. Maybe I’m wrong. However, I think you’ll come around eventually and pick up a controller. If you’ve never done that before, I’ll feel especially happy if you do it on Playday.